Paint is not the only way to customize a the hallways and rooms throughout a hotel. Carpet can be one of the more bold ways to personalize any hotel environment. From a neutral palette to a vibrant palette, as long as it is along the brand standards, carpet can become an attractive and fun focal point. Today's carpet trends are taking advantage of new style and changing the way people think about incorporating carpet into design. Simple patterns are a big 2018 trend. Introducing patterned carpet can add life to a basic room that might have a simplistic theme throughout. The appearance of a great carpet is portrayed simply by using patterned carpeting with features such as blocked patterns, lines (straight or curved), floral designs, etc. 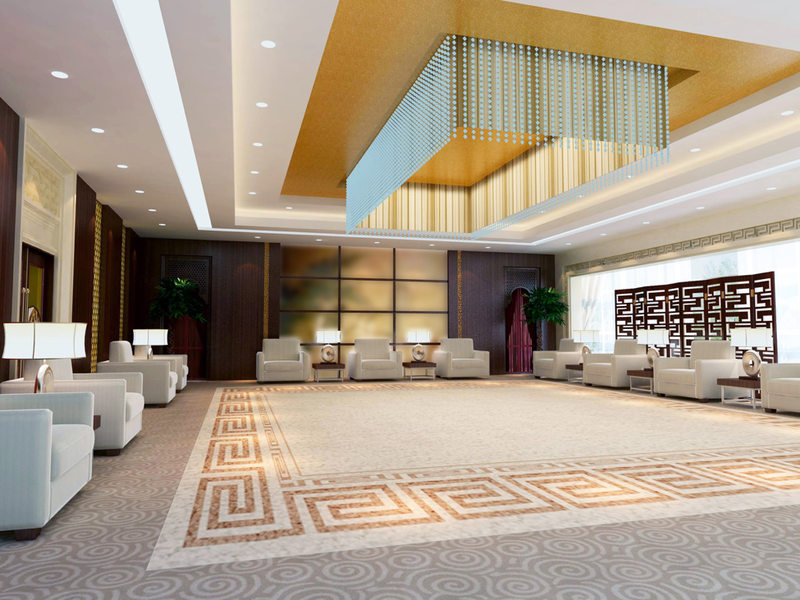 Whether the carpet contains different colors, subtle patterns or extremely noticeable patterns, it will help develop the character of the hotel. Soft textured carpet can be huge when it comes to guest experience. Texture does not mean that the carpet has to be furry or shag carpeting. Image walking around with bare feet and the carpet feels like it has been placed on top of a concrete slab. It is not only cold but hard and uncomfortable! 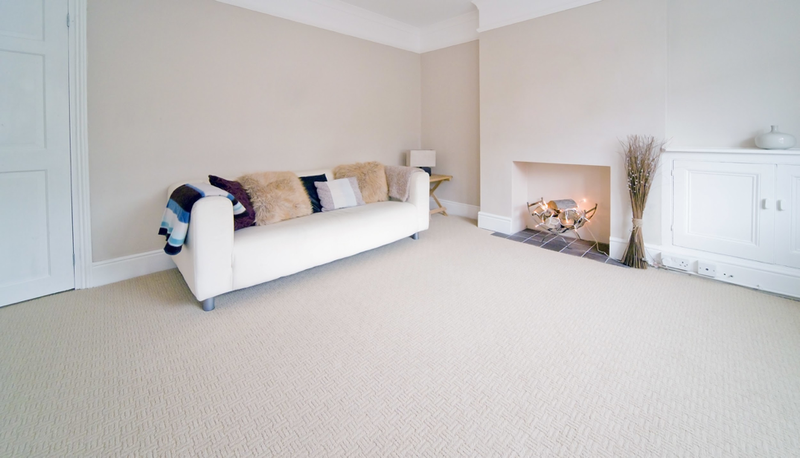 A bit of comfy, soft textured carpet thrown into the mix and it will have the guests wondering where they can get it for their own place. On top of that, they will be extremely appreciative of the efforts made to increase comfortability. Color can be added to a room with furniture, yes, but think about introducing color through the carpet as well! Try experimenting with a vibrant color such as red or blue. If that does not go along with the brand standards, use a neutral color to help balance the room. When using a bright color, the interior design can either be along the same color palette as the carpet or be completely neutral to help create a luxury look for the space. On the other hand, neutral carpet is great for when a room incorporates a good amount of warm colors because it is able to create a design balance. Who can resist a giant rug? This leaves so many options to add character to the hotel. If the furniture placed in the room happens to be neutral, liven up the place with a uniquely colored and/or patterned rug. Rugs are also very versatile when it comes to size, color, patterns and texture, just like carpets. The difference is that multiple rugs can be used throughout the space making it even more cozy and giving off the home-y vibe! Rugs can also be easily cleaned, removed, replaced, etc. Just something to think about. Hotels are absolutely taking advantage of the many choices of carpet integration. It intrigues the guests and gives them a certain feel for the hotel. Coordination with florals, stripes and other patterns on furniture throughout the hotel should be a priority in order to create a flow in the space. Feng shui if you will. Quality of the carpet pattern and texture is telling of the carpet value, so make sure the carpet is made of great quality. It is an absolute staple when it comes to guest experience.